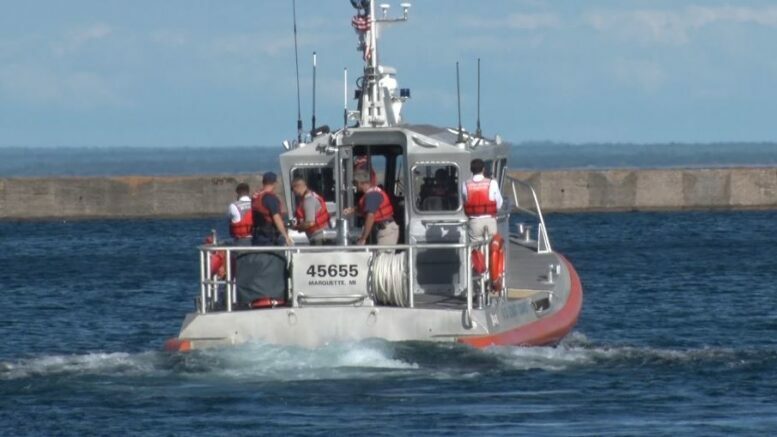 MARQUETTE — No matter the season, rain or shine, the coast guard and other local agencies near the shores of Superior are constantly on patrol to keep everyone safe. Even on a bright sunny day – when everyone least expects it, trouble on the water can happen. That’s why the coast guard and local fire and rescue units have made it a priority to stay up to date on rescue techniques and procedures in order to be ready for anything. On Monday during drills in Mattson Lower Harbor, the coast guard utilized their 1600 horse powered vessel, while fire and rescue was aboard a jetski. ABC 10 was able to board the vessel and travel with the coast guard, and get close up details of what occurs once a victim or patient is pulled to safety. Different scenarios were played out to recreate what could happen in real life all from a victim pickup from the water, to a transport for medical attention. Besides experiencing what it’s like to be involved in a rescue situation, all units are able to understand what it’s like to work together. But it’s not just today that coast guard and fire departments are brushing up on their skills. These joint efforts happen a few times a year with other local agencies; however, training continues daily. The training shown today demonstrates just how safe the shores and waters of Superior are.